Over the years of running a self-storage facility in Loveland, we’ve picked up some storage tips. Use plastic totes or boxes to store smaller items. Mark all of your totes and boxes for easy retrieval of items from storage. Cover mattresses that you put in storage (old sheets work well for this). Double-check with your insurance agent to make sure that your possessions will be covered while they’re in storage. 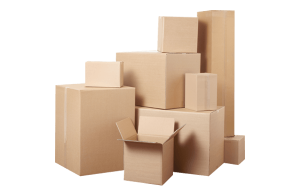 Wrap breakable or fragile items in newspaper or bubble wrap before placing them in storage. Place the items you’re most likely to need near the front of your storage unit, so that you can easily access them. Don’t store any perishable (food) items, propane, chemicals, flammable, or hazardous materials in your storage unit. Choose the right size storage unit (we can help you with this), so that you’re not paying to much or having to move your items to a larger unit. If you need any further information about storage or our self-storage facility, please get in touch with us, or stop by and visit. We’re located at 325 12th Street SW, in Loveland, Colorado.